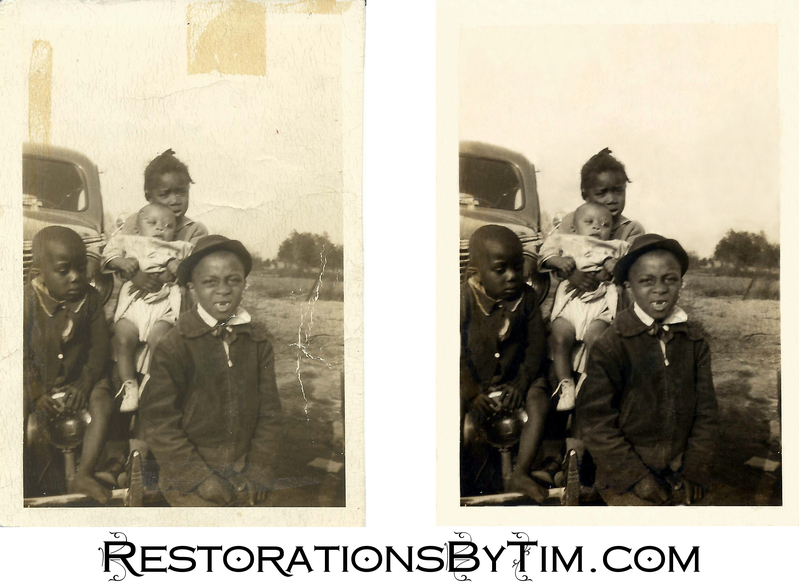 Moderate Restoration: Creases, Cracking, and Tape | Photo Restorations by Tim G.
This is a picture of the client’s mother and uncles in Virginia in 1942. The original was small, only about 3¾ inches tall. Don’t let that deceive you. It was more work as my previous moderate restoration because I had to clean a lot those little cracks out of intricate places, like the care and the baby’s white outfit.